Very attractive and bright 80 m2 apartment. 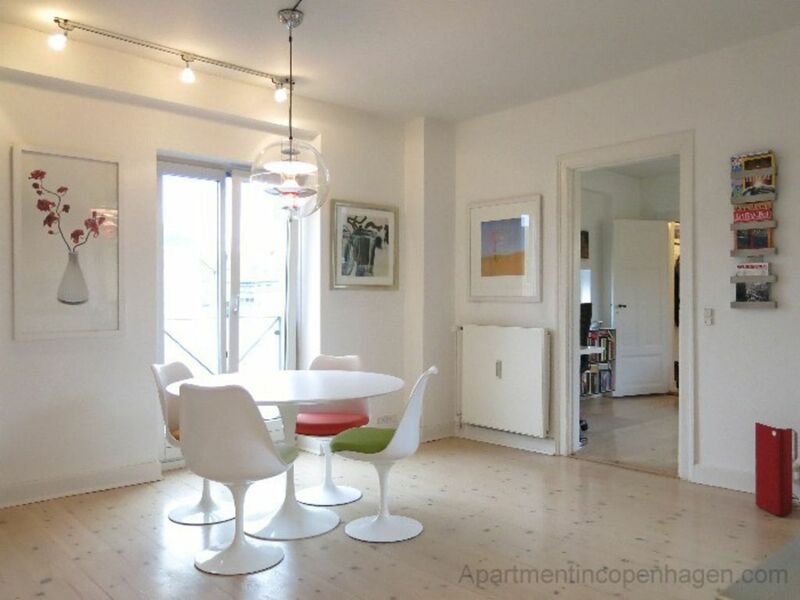 Close to Kongens Nytorv, the metro and the Royal Theatre..
Lots of space for two people. At this location, you can easily work to the Royal Theatre, Amalienborg Palace, Nyhavn and Strøget, so if you want to explore Copenhagen on foot, this is the perfect apartment for you. Despite the fact that you will be based right in the heart of Copenhagen with only 2 minutes on foot to the pedestrian area, the area is quite peaceful. Splendid apartment in the perfect location. Hall, bedroom, sitting room, combined dining room and kitchen. Combined toilet and bathroom with shower. Wifi, TV with Apple TV box, stereo, dishwasher and washing machine. A very pleasant and well equipped apartment in a superb location. El depto tenía todas las com.odidades. la cama y el drmitorio bastante chicos. Ademas no sabiamos que era 4to piso sin ascensor. Very nice appartment, best location in town, very quiet! Don't forget it is the 4th floor !!! Very nice people from the company ! I recommend the flat for a couple. Lot of stairs( 5th flat !) without a lift.a hair dryer is sorely lacking. Very nice stay in that apartment. We spent a week in this apt. In July 2017. Fabulous location close to buses, underground, 5 min to Nyhaven, walking distance to all major attractions and a block from the waterfront. Surrounded by many excellent restaurants. Spacious and very clean. Great appliances for eating and cooking in. Bright and sunny kitchen. We were able to leave our luggage very early and returned to the apt after lunch for an early check in, which was so helpful. Highly recommend this apt. This company is excellent to deal with from Canada.